Caveats: Prohibition didn’t bribe my dad (or me) for a good review. Our opinions are all our own. So, I smoked my dad out a few days ago. He was in town for a visit and is a product of the weed heyday back in the ’60s and ’70s, when weed was about 4 percent THC and a nickel bag was the size of a freaking ounce. Yes, I’m sure they also walked to school barefoot in the snow with those fat sacks of weed in their pockets. Anyway, he smoked what my mom says is enough weed that they almost divorced over it at one point, but he’s spent the last several decades as a cannabis teetotaler (but loves his scotch and water), and he hadn’t recently ingested anything with THC except for a handful of edibles. He’d never even seen a dry herb vape and has no idea what to do with concentrates either, so, of course, I had to change that. I decided to shatter his weed wall with the help of some Northstar, a hybrid strain created by crossing Fort Collins Cough #1 and Jedi Kush. 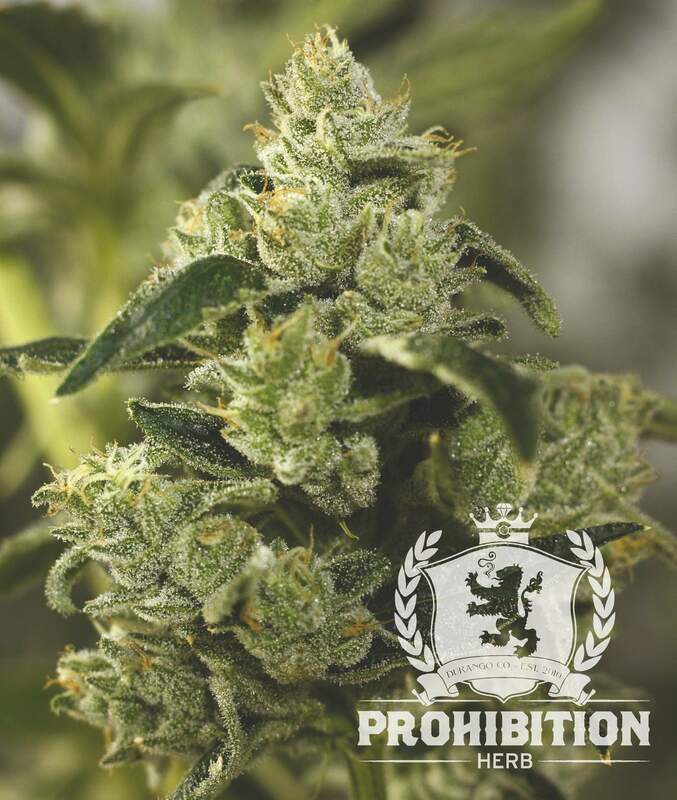 It’s a sweet, spicy strain that contains 26.79 percent THC – so, a lot of THC – and it’s sitting on the shelf at Prohibition Herb as one of their new high-end premium strains. About five minutes later, I look over, and the poor guy is leaned back in his chair, eyes closed, mumbling nonsense to himself and laughing. Every once in a while you’d hear a discernable, “Whoa!” followed by laughing. The friend I had over, who was also smoking with us, was in equally wreckt with a t shape. My dad was in a happy puddle and the friend was trying to read their phone with their eyes closed. I thought for a moment that they were asleep, but when I threw out an amused comment – something like “Uh, you have to use your eyes to read, dumbass.” – their eyes shot right open. Well, their eyes went to about half-mast, anyway. Northstar is no effing joke. I, on the other hand, was definitely feeling myself after Northstar. This hybrid supposedly leans more on the sativa side, and while I definitely didn’t feel sleepy or heavy, my mouth didn’t really want to cooperate to make conversation, either. I was happy to sit in my own head and watch the show courtesy of the two noobs across from me. Life at its finest. I’m not sure my dad emerged from his happy cocoon that night, either. We all just sat there around the fire, warm and stoned, until we quietly parted ways, still high and still content. When he emerged pretty late for an old person the next morning, I got to hear all about how well he slept, so apparently Northstar is the gift that keeps on giving. It’ll get you stoned, keep you up, and then knock you out for 12 hours straight. Sounds like a win to me. I’m not sure whether Northstar convinced el padre to step all the way into this brave new weed world or not, but either way, it sure did give him a wild 2019 weed ride. I, on the other hand, will be keeping this one around, just as soon as I replenish my stash, which magically disappeared off my counter overnight. I’m not pointing fingers (dad), but it looks like someone may not be nostalgic for that old 4 percent ditch weed much longer.